At the same time, the Kirtland group sought divine help in translating these texts—Joseph Smith had almost immediately declared that some at least contained episodes from the life of Abraham. The whole 1835 work amounted to three manuscripts that contain most of the first two chapters of the present Book of Abraham. They (first, apparently) painstakingly and creatively produced other collections that they hoped would open another world to their view, keys to understanding the mysterious writing on the scrolls. While there are clear measures of intertextuality between these tools of translation and those contemporary Book of Abraham manuscripts, there doesn’t seem to be a one for one correspondence between them. On the other hand, both the translation tool kits and the Book of Abraham texts were reverenced in some sense by their creators. Joseph didn’t resume steady work with the Egyptian project until 1842, when he finally published the work in three issues of the church newspaper, Times and Seasons. A fourth manuscript collection had been produced in Nauvoo—it survives in part—and it evidently contained more or less the full text of the current Book of Abraham (including facsimile explanations), though there are important variations among these manuscripts and also between the manuscripts and the first 1842 imprint. Is our present Book of Abraham in The Pearl of Great Price a translation of an Egyptian text purchased from Michael Chandler? Careful consideration yields a cautious, no. Did Joseph Smith and his contemporaries in the project believe that the Book of Abraham was a translation from the Chandler scrolls? Yes, they did. Joseph Smith believed this to the end of his life. How does this fit into the faith of the Latter-day Saints? Personally, I accept the Book of Abraham as a revelation from God. Others may see the dichotomy of Joseph’s belief about translation and the reality of revelation as discordant. 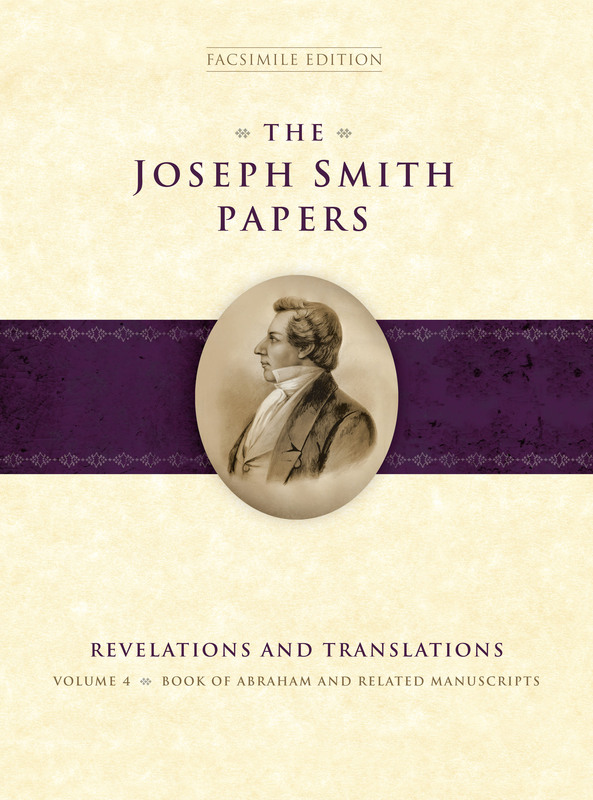 Whatever your belief about such matters, I don’t think any Latter-day Saint or other interested party should pass up the opportunity to get hold of the recently published (and utterly beautiful) volume in the Joseph Smith Papers Revelations and Translation series (vol. 4). 4. “Egyptian Alphabet” documents produced by the 1835 team. 5. Grammar and Alphabet of the Egyptian Language (again 1835). 6. Book of Abraham Manuscripts (3) ca. July—ca. November 1835. 7. Book of Abraham Manuscripts ca. February 1842—ca. 15 March 1842. The drawing plates that appear in our present Book of Abraham were produced by one of Joseph Smith’s associates, Reuben Hedlock. Hedlock carefully carved “woodcuts” that is, a flat block of wood with the image of an Egyptian vignette carved in its surface and then used as a mold for a lead copy. The front matter of the volume contains a chronology of Joseph Smith’s life and a map showing his major residences. An introduction discusses precise definitions of terms used in the volume and a short history of the Egyptian materials acquired in Kirtland. The final paragraph of the introduction provides some insight into the editorial thought behind the work so I’ll quote it here. There is a lot that this volume does not do, does not set out to do, and probably lies beyond its mission and the parameters of the Joseph Smith Papers. It does not discuss theology, or echoes and possible allusions and other intertextual dimensions with biblical and contemporary texts. It does not engage the very broad landscape of Book of Abraham critique and counterpoint. This Facsimile Edition is a tool for scholars and others interested in the Book of Abraham to do things like theological work or ferreting out textual influences or constructing arguments over and about the text and early Mormonism. If there is a weakness, it may be in the discussion of the initial imprint and its relationship to predecessor manuscripts. There is no index, something that might have helped to navigate the volume. « Is Competent Public Administration the Downfall of the Modern Miracle? Man, carving out that wooden mould would have been intense. Thanks, WVS. This post as well as the BCC’s twitter coverage has piqued my interest. I don’t suppose they included any actual translations of the Egyptian texts as a supplement (you know, English words conveying the actual meaning of the Egyptian words and symbols)? That would seem like a terribly helpful resource for anyone trying to evaluate the documents and the English text we know as the Book of Abraham. This is great. Another recommendation for under the Christmas Tree is The Hebrew Bible (3 Vols.) by Robert Alter. Pre-release price as low as $76.00. Retail is $125.00. Alter has finally completed his project. Working on a review. The FARMS project called Studies in the Book of Abraham (5 vols.) from several years ago released full translations of the Book of Breathings and the Books of the Dead, which constituted 2 of the volumes. The fifth and final volume was a much smaller version of this. This is greatly expanded. This doesn’t include the annotations in the Book of Abraham that Elder Talmage used for a previous edition (which the FARMS volume does).